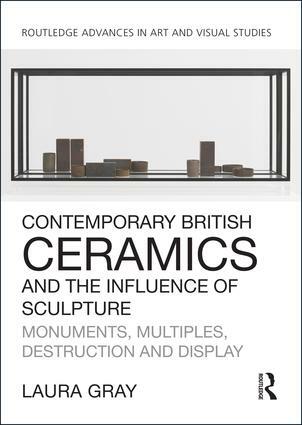 This book investigates how British contemporary artists who work with clay have managed, in the space of a single generation, to take ceramics from niche-interest craft to the pristine territories of the contemporary art gallery. This development has been accompanied (and perhaps propelled) by the kind of critical discussion usually reserved for the 'higher' discipline of sculpture. Ceramics is now encountering and colliding with sculpture, both formally and intellectually. Laura Gray examines what this means for the old hierarchies between art and craft, the identity of the potter, and the character of a discipline tied to a specific material but wanting to participate in critical discussions that extend far beyond clay. Laura Gray has a PhD in Art History from Cardiff Metropolitan University and is a freelance curator, writer and researcher specializing in contemporary art and craft, and twentieth-century sculpture.